Dr. Allan Mohr Explains: How Do Dental Implants Work? In our constantly evolving, highly technical age, virtually any fact or statistic you could ever want to know can be retrieved in a mere instant. If you’re wondering about the weather for the weekend, you pull up a forecast. If you want to read about what’s happening in the world, global news is there at your fingertips anytime you like. What if, however, you want to learn about how a specific dental procedure – like dental implants, for example – really works? You don’t necessarily want to sift through millions of websites, but you do want to be sure that the information you’re getting is from a reliable source. 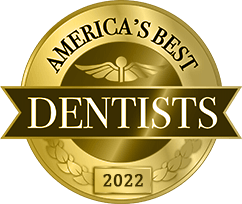 At Smile Creations in Massapequa Park, NY, Dr. Allan S. Mohr helps informed consumers just like you learn more about restorative dentistry, all in a way that is factual but still easy to understand. While the placement of dental implants is a somewhat advanced procedure – one that can only be performed by an oral healthcare professional with extensive training – comprehending it shouldn’t be a complicated ordeal for patients. 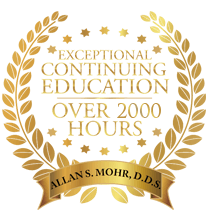 Dr. Mohr prefers to explain all of his procedures openly and frankly with his patients, providing them with a complete understanding of their treatment before, during, and after it’s completed. This is all part of the trust and sense of comfort we strive to build with each of our patients every day. Simply stated, a dental implant is a permanent replacement for a missing tooth. Whereas dentures, bridges and other dental prosthetics lie over the top of the gum, a dental implant is actually anchored within the jaw bone – just like your natural teeth. A small, biocompatible post made of titanium is secured within the gum tissue and the bone of your jaw where your missing tooth once stood. 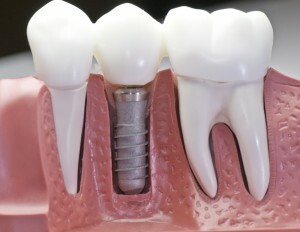 After a brief period of healing (during which your jaw bone will integrate and fuse with the implant), a customized crown will be precision-placed and affixed to the post that is now your new tooth’s “root.” This meticulously crafted crown completes a look that is seamless, flawless, and entirely natural. With your new restoration, you are able to once again speak, chew, and smile with complete comfort and confidence. At Smile Creations, we treat each and every one of our patients with the care and respect they deserve. Part of this commitment involves taking the time to really listen to your thoughts, ideas, questions, and concerns. 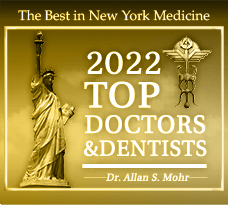 If you would like to learn more about how any of our restorative dentistry procedures work, including the placement of dental implants, contact our office in Massapequa Park, NY today and talk with Dr. Mohr and our team. 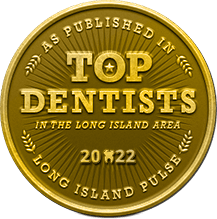 Our cutting-edge, family-friendly office happily welcomes patients from throughout surrounding communities in Long Island, Farmingdale, Lindenhurst, Wantagh, Seaford, and more. We look forward to becoming your trusted partner in the lifelong pursuit of exceptional oral health. by: allanmohr at April 28, 2014 .